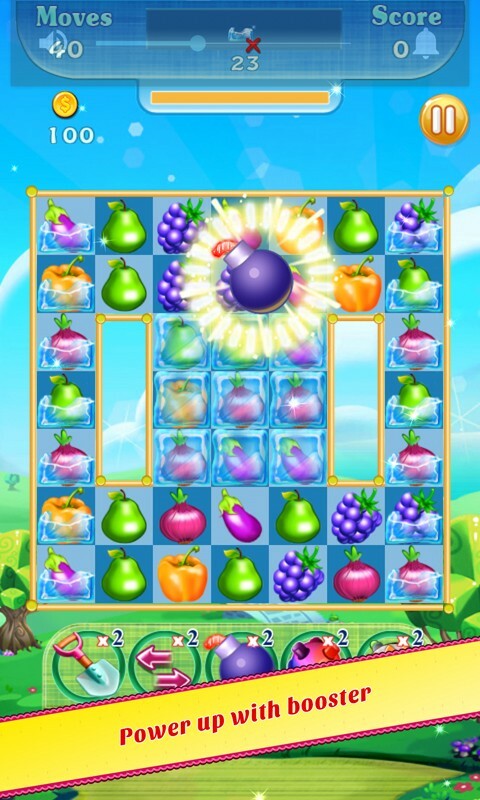 Farm Splash : Harvest Paradise is an adorable fruit farm match 3 game. 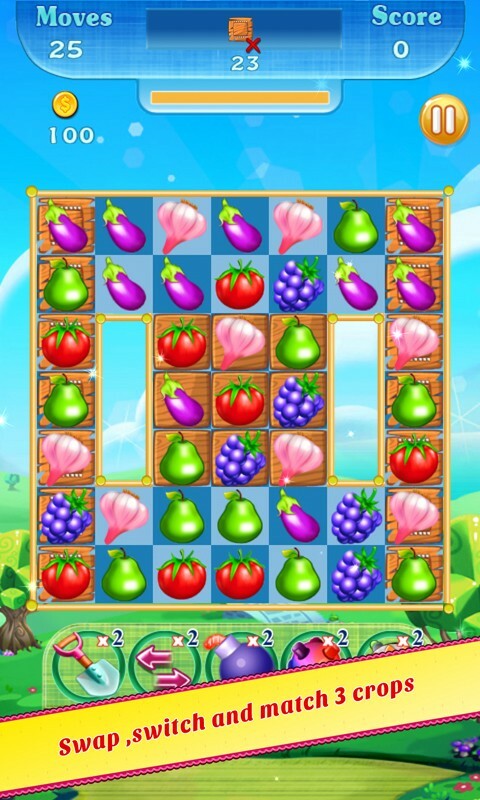 Enjoy this garden mania of farm fruits and get ready for the crops madness. Get ready for funny farm adventure journey with match 3 farm saga game. You are the most eligible farmer of all time and become a farm harvest king . 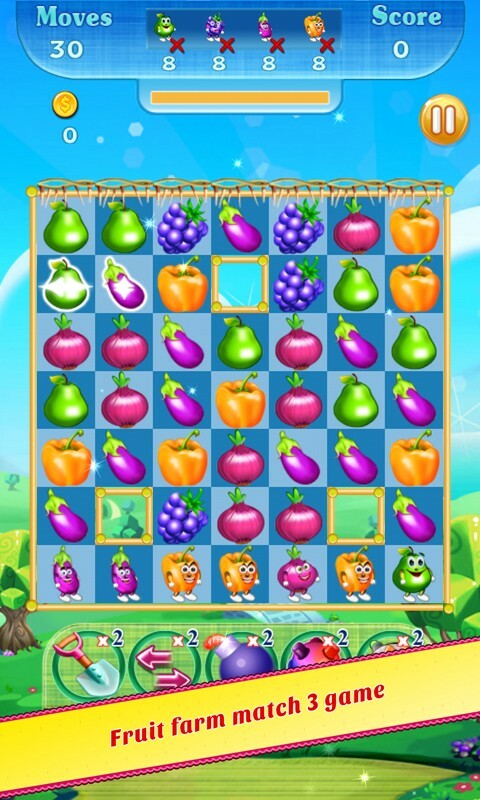 In this farm fun game swap, swipe and match 3 or more green veggies and farm cropsies and enjoy the garden mania fun. 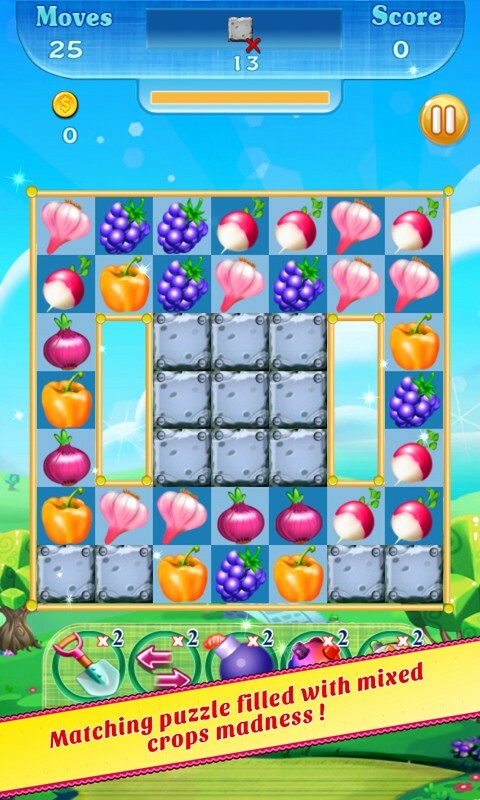 Put all your farm matching tricks of swap, switch, swipe and match 3 or more carrot, tomatoes, corn, apple and other farm fruits and cropsies to move ahead in the farming game. You can play through 100 of farm fun level and enjoy your harvest time with hungry caterpillar, angry fruits, and seeded fruits in this farm craft mania. 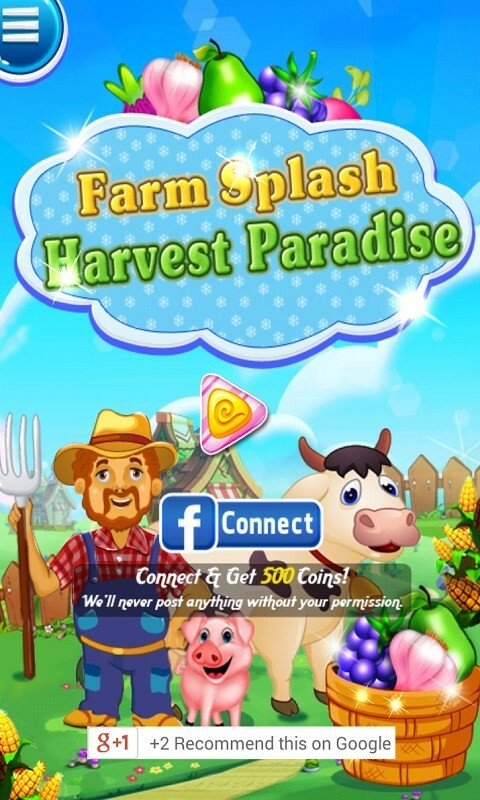 Indulge yourself in the acres of farm harvest swap match 3 game gather all the stars and become a farm harvest king . 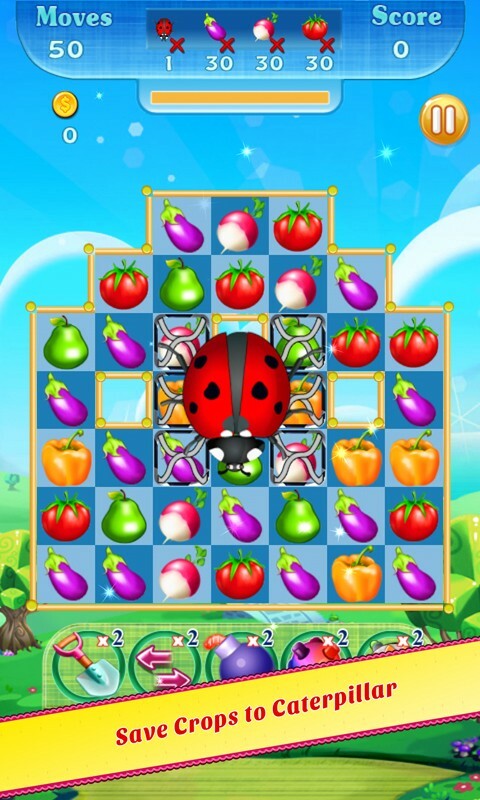 There are some complex levels in this frenzy farm harvest time game.